aishi Arimura is a young graphic designer based in Tokyo. At the age of 25, his eclectic body of work contains humor, wit and beauty—everything one would want in a visual designer. 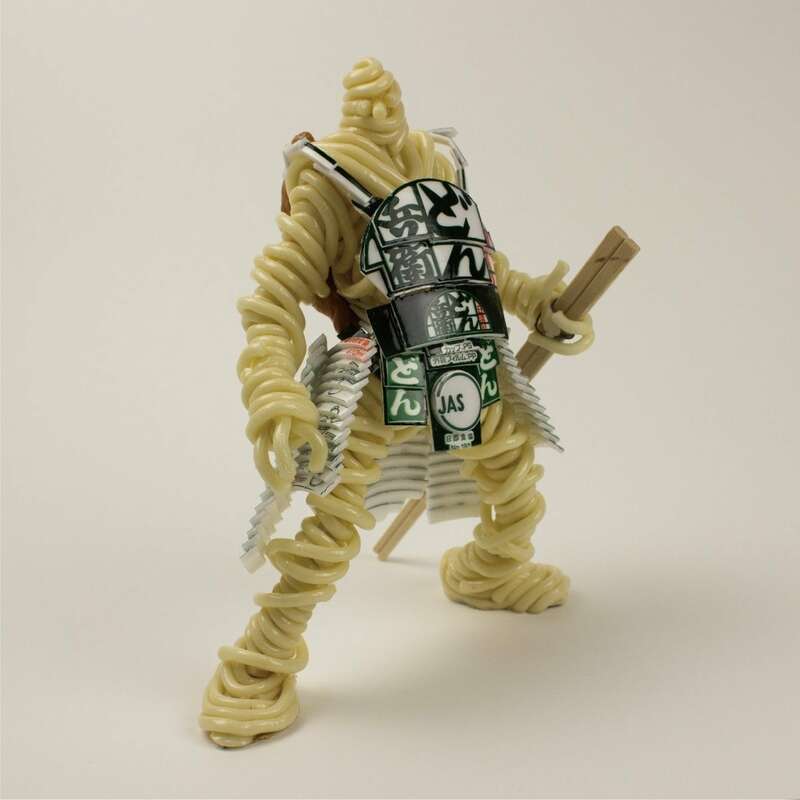 In one series, Arimura uses imitation food samples and actual instant noodle packaging to create "noodle warriors." Arimura sculpts the food samples into the bodies of warriors. 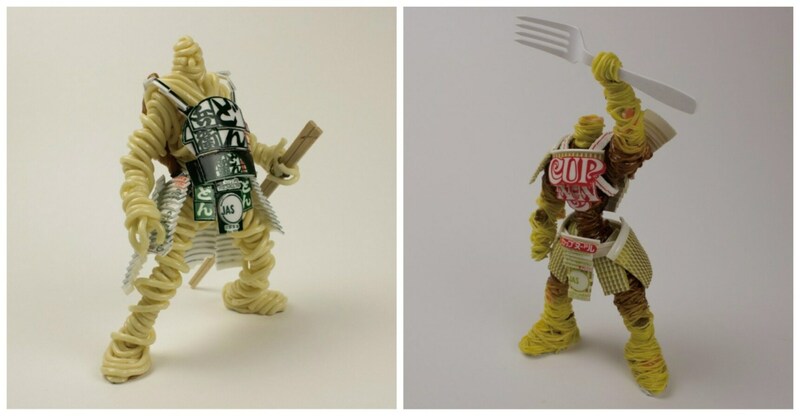 He then meticulously carves up the Styrofoam packaging of popular instant noodles—in this case, Nissin’s Cup Noodle and Donbei—to create the armor, which he adheres to the noodles. The final touch is either a fork or chopsticks as weapon and the warriors look like they’re ready for battle. Arimura posts his quirky designs to his brand new Twitter and Instagram accounts, which are definitely worth following. For a closer look at his amazing work, read the full article from our friends at Spoon & Tamago via the link below.